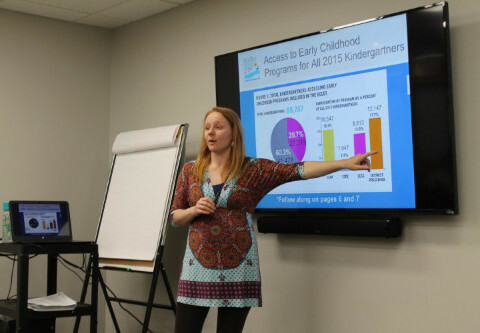 On May 31, 2017 the Children’s Defense Fund of Minnesota (CDF-MN) gave a presentation at Southern Minnesota Initiative Foundation (SMIF) on early childhood access to care. 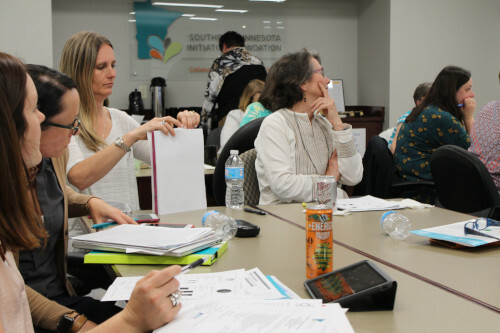 Over 20 community members ranging from early childhood professionals to interested community members from across the southern Minnesota region gathered to hear what the Children’s Defense Fund had to say. Reports also show that “nearly half of all families on the waiting list wait more than one year before being able to access the program.” Children are not able to access child care assistance despite eligibility because there isn’t enough money funding these vital programs. The Early Childhood team of Southern Minnesota Initiative Foundation understands access to care is a problem and is working to educate the public by having presentations like those of the Children’s Defense Fund. Read more about Minnesota Children’s Defense Fund and their interactive ECLDS site. Turning the Corner: State Child Care Assistance Policies 2014. 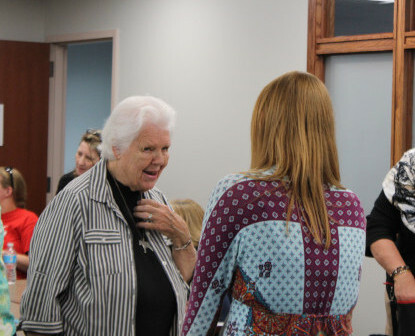 National Women’s Law Center, 2014. (as cited in Child Care: A Two Generation Approach to Family Economic Security, Children’s Defense Fund, Minnesota, May 2017). Minnesota Child Care Assistance Program State Fiscal Year 2014 Family Profile, Minnesota Department of Human Services. February 2015. (as cited in Child Care: A Two Generation Approach to Family Economic Security, Children’s Defense Fund, Minnesota, May 2017). Minnesota Kids Count 2016: Tipping the Scales in Early Childhood, Children's Defense Fund-Minnesota. 2016.